Even though four-wheel drive vehicles have been around since the late 1930s, their commercial production started only after the end of the Second World War, starting with the Willys CJ-2A. 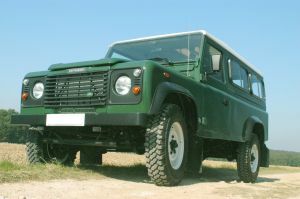 But the first more passenger car-like looking 4x4 was made only in the 1960s. Though many people think it was the U.S. Army Jeep which was produced by the Willys during the Second World War, the Soviets actually had one before the outbreak of the war - the GAZ-64. And just like the American counterpart inspired the post-war off-roaders with 4x4 in the United States and other Western countries, the GAZ-64 became the 'role model' for the post-war USSR 4-wheelers. 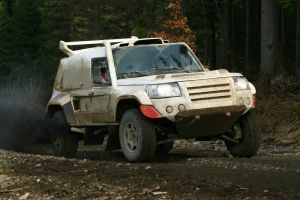 While the Russians are credited with the first off-road vehicle with 4x4 drive and the Americans with inspiring the post-war civilian counterparts of military off-roaders, the British are credited with the first passenger car with 4x4. Launched in 1966, the Jensen FF went down in history as the first 4x4 non all-terrain vehicle. 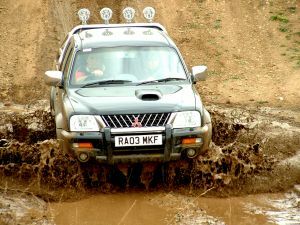 Four-wheel drive and all-wheel drive aren't quite the same even if the terms are often used to refer to all 4x4 vehicles. The main difference between the two is in that the former may or may not drive on all four wheels and includes a transfer case, while the latter is driving on all four wheel whole time and features a differential between the rear and front shafts. Understanding 4x4, Four-Wheel, All-Wheel, Etc. 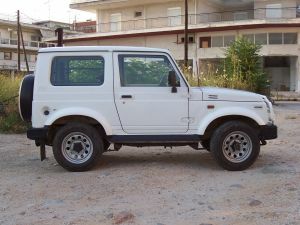 The terms 4x4, four-wheel, all-wheel, etc. have a clear meaning but despite that, they are quite often used interchangeably. What is more, there tends to be a difference in understanding individual terms between different countries. 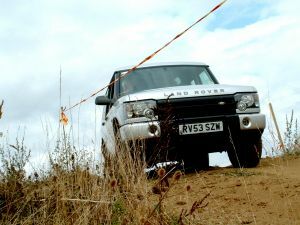 Thus it may be good idea to get familiar with the key terms and their meanings as their understanding is crucial for understanding the characteristics of particular 4x4 vehicles and the technology they use. 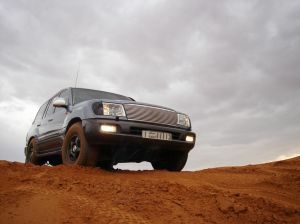 Should you get a petrol- or diesel-powered 4x4 vehicle? Which offers more power? Better performance? Greater value? Both options have their advantages and disadvantages although there is also another option that is worth considering as well, especially if you're concerned about the environment - hybrid 4x4 vehicles. According to their manufacturers, they offer the same performance and at the same time, help preserve the environment and reduce fuel consumption. Buying a 4x4 vehicle is not an easy decision. They are superior to their two-wheel counterparts both on and off road but the superiority comes with a price. While many people change their minds when thinking about it better, those that do decide for a 4x4 car face another big decision - which one to choose? Petrol or diesel engine? Four-wheel or all four-wheel drive? Crossover or SUV? Yes, there are many things to consider if you want to make the best choice.